The Mumbai Academy of Moving Image (MAMI) has appointed Edelman India to drive their public relations and digital mandate for the upcoming 20th edition of the Jio MAMI Mumbai Film Festival with Star. The mandate focuses on driving strategic communication programmes for their annual property, the film festival. MAMI was founded in 1997 by leading film professionals from the 'Indian Motion Pictures Industry' to create an annual international film festival in India that brings quality cinema to film-loving audiences. 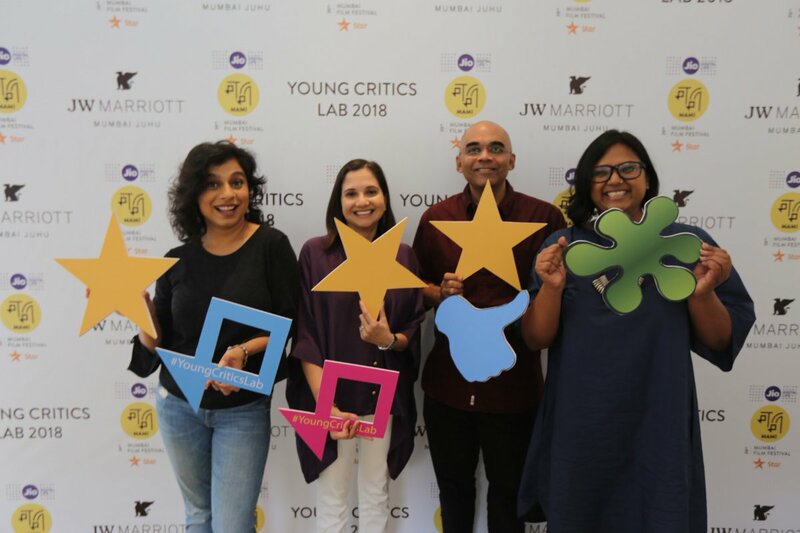 In the picture, from left to right - Sucharita Tyagi, Anupama Chopra- festival director, Baradwaj Rangan-programme mentor for the Young Critics Lab workshop and Smriti Kiran - creative director at the Young Critics Lab workshop by Jio MAMI Mumbai Film Festival with Star. “We have a national team that understands the mechanics of driving successful large-format events well. Our earned-centric thinking and deep local understanding will help us craft a strong programme for the Jio MAMI Mumbai Film Festival with Star and we’re truly excited about this partnership,” said Himanshu Saxena, the brand head for Edelman India.